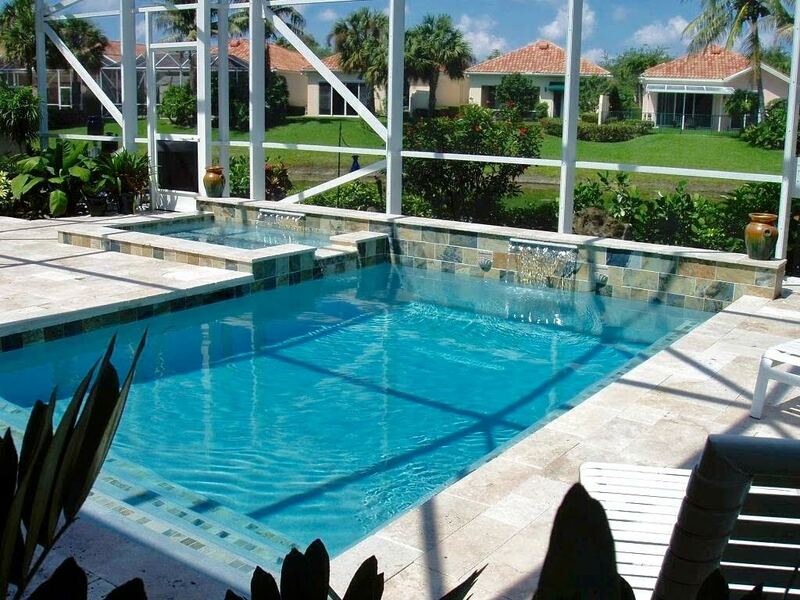 From the initial design to the full construction of home pools and spas in West Palm Beach, FL, Design Pools has the experience, resources and sensibility necessary to complete a diverse range of different projects. Whether you just want a small spa installed on your patio or you want to transform your large backyard into a swimmer’s oasis, Design Pools is up to the task. Here’s a look at the different types of projects we tend to take on. Home pools and spas: From the smallest of spas to the most expansive of backyard pools, Design Pools is equipped to handle any residential pool build or remodel from the design phase to the finishing touches. We will communicate with you every step of the way during the entire process, and we will not make any major decisions without you signing off on them first. Swimming pools: In addition to recreational pools, we can also provide quality full length swimming pool designs in West Palm Beach, FL for those who want to turn their backyard into the ultimate home workout space. Your large swimming pool will incorporate the best of both functionality and design, and we can handle the construction phase as well as the design process. Special features: Design Pools is proud to offer a wide range of different design elements and special features for your new or remodeled pool. Some client favorites include concrete pavers, water features, waterfalls, fencing, screen rooms and minor landscaping. Whatever special elements you desire for your pool area, Design Pools will be happy to incorporate them into your design. If you have an idea for a new pool project and would like to discuss it with us, please give Design Pools a call at 561-471-0047 or visit our Contact Us page.